1944, in Kottaram near Tirunelveli. 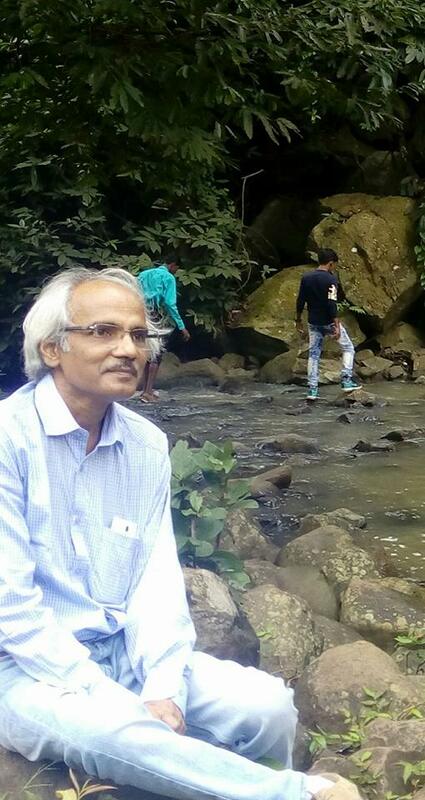 Dr. Y. S. Rajan has completed their school from St Xavier's High School Palayamkottai, Tamil Nadu and Last year of schooling in S.I.E.S High School, K and higher education from Bombay. 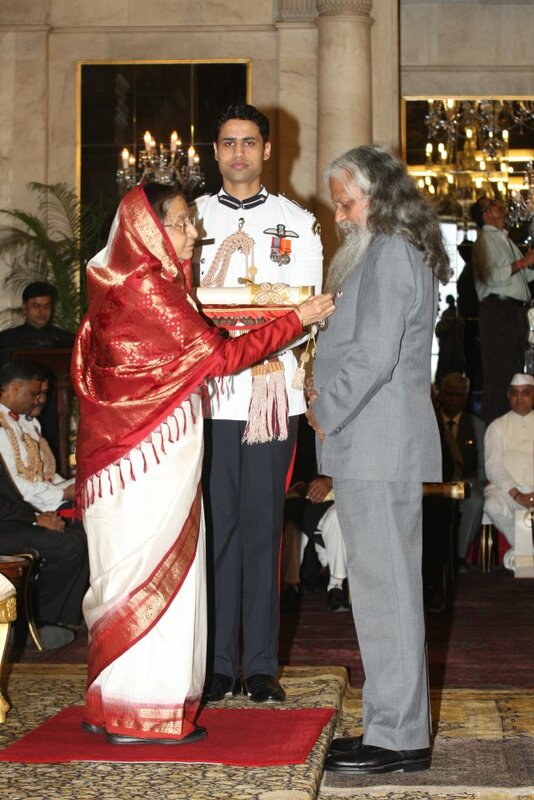 In 1964 he has received a post-graduate degree in physics with electronics from University of Bombay. Prof. Y. S. Rajan started his carrier from Physical Research Laboratory (PRL) Ahemadabad as a research scholar and contributed significantly in the fields of fields of science, technology, research, space technology, and business management. These are not limited several sustainable institutions and mechanisms were created by his efforts and leadership and In 2012, He has been awarded Padma Shri for his contribution in Science and Engineering . Prof. Rajan is not only a researcher, technology and policy maker he is also a great writer. His efforts are remarkable to upgrade the society in terms of education and technology, the books he has written on the various subject including on science, technology, business, youth, leadership, social and ethical issues. 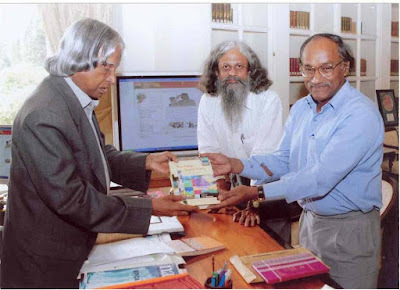 Sundara Rajan is one of the well-known scientists, who is a co-author of books and has closely worked with Dr. A P J Abdul Kalam, former President of India. Along with the scholarly article, his heart is full of emotions, feelings that came out through his seven books of poetry in Bhartiya languages. He knows Hindi, English, Tamil, Gujarati, and Marathi. Vetri A to Z - Tamil Version Of "A To Z Of Success"
Member of International Law Association, Indian Chapter. Member India International Centre, New Delhi. Fellow, World Academy of Arts and Science, WAAS. Scientific Adviser to Punjab Chief Minister (Minister of State Rank) from Oct 2002 to March 2004. Member of a high-level committee for evolving ethical guidelines on Biomedical Research involving human subjects, set up by the Indian Council of Medical Research (ICMR) from 1996 to 2000. Played the lead role in completing a major exercise for Technology Vision for India up to 2020, organized by TIFAC and led by many industry leaders, technologists, and administrators. Twenty-five documents were dedicated to the nation by the Prime Minister on August 2, 1996, and ultimately resulted in now famous book India 2020. Member of the ‘National Task Force on Information Technology and Software Development constituted under the authority of the office of the Prime Minister during the years 1998-1999. Chairman, Board of Directors, National Research Development Corporation (NRDC) from 2001 to 2004. Actively involved in evolving policies and procedures relating to adopting IPR laws in India to the post-WTO/TRIP situation and also in preparing the Indian Industry and institutions to master IPR issues. 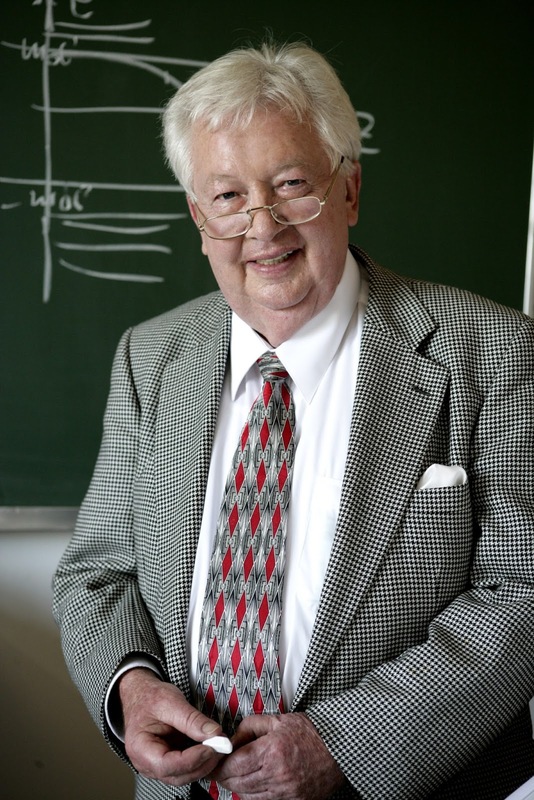 Prof. Walter Greiner a theoretical physicist was born on Oct 29, 1935 in Neuenbau, Sonnenberg, died Oct 15, 2016 at the age of 80 yrs in Germany. 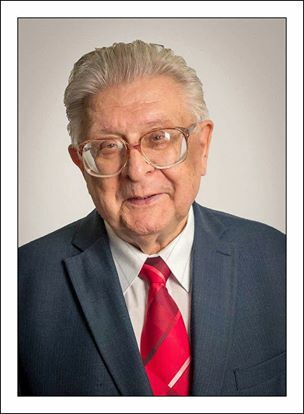 His research interests lie in atomic physics, heavy ion physics, nuclear physics, elementary particle physics (particularly in quantum electrodynamics and quantum chromodynamics). He is known for his series of books in theoretical physics. Walter Greiner's books are good and instructive and cover most of theoretical physics, with a focus on quantum physics and its various parts (non-relativistic quantum mechanics, symmetries and group theory in QM, quantum field theory, QED, QCD, etc). There are helpful mathematical results and derivations as well as many worked out exercises in each book. Sometimes the translation from German is not very accurate, and sometimes there are typos, but overall this book series is useful and informative . Prof Greiner was also associated with Indian Physicists (Prof. Raj K Gupta, PU Chandigarh and Prof. S K Patra, IOP Bhubaneswar) and contributed significantly in Superheavy Nuclei research. Walter Greiner's remarkably productive life of a brilliant scientist devoted to theoretical nuclear science during the last four decades is an example of an unparalleled success story. Many new topics in Nuclear Structure, Nuclear Reactions, Atomic Physics, and Particle Physics were initiated by him and he has been a leading scientist for many years, guiding the experiments, and other theoretical developments. One can mention some of them below. Nuclear polarization in muonic atoms. Rotation-vibration model. Dynamic collective model of giant resonances. Eigenchannel theory of the S-matrix nuclear reactions. Superheavy nuclei, structure, stability against fission, alpha decay and electron capture. Electronic structure of superheavies. Theory of nuclear molecules, coupled channel formulation of nuclear molecular reactions. The two center shell model which is fundamental for all fission and fusion processes. Generalized collective model (Gneuss-Greiner model). Fragmentation theory. Prediction of the cold valley for fusion of superheavy elements. Calculations of PES exhibiting the cold valleys for fusion, cold fission bimodal fission, cluster radioactivities, and alpha decay. Quantum Electro Dynamics of strong fields, spontaneous pair creation, superheavy quasimolecules. Supercritical fields in other areas like gravitation (Hawking radiation) and strong color fields. The prediction of nuclear shock waves as a key mechanism for compressing and heating nuclear matter. This work initiated high energy nuclear physics: search for the nuclear equation of state and possible phase transitions. Antimatter clusters emitted from a quark-gluon plasma. Meson field theory for hot and dense nuclear matter, phase transition, chiral restoration. Meson field theory applied to nuclei and exotic objects, e.g. multi-Lambda-nuclei. 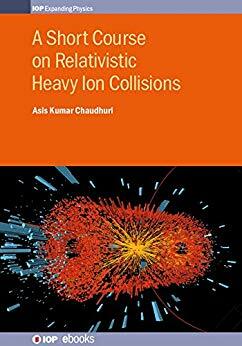 Relativistic fluid dynamics for high energy heavy ion collisions. Antimatter production in thermal meson field theory. Quantum molecular dynamics applied to nuclear collisions. Relativistic quantum molecular dynamics. Antiflow of pions and antimatter. Quark-gluon plasma as a cluster plasma. Extension of the periodic system into the new directions of strangeness and antimatter. Structure of the baryonic and mesonic vacuum of high densities and temperature. A new mechanism for cold compression of an elementary matter by implantation of high energy antiprotons in nuclei. January 1960 M.Sc. TH Darmstadt, Thesis: "Plasma-reactors"
Spring 1961 Ph.D. - Freiburg/Brsg. Thesis: "Nuclear polarization in μ-mesic atoms"
May 1964 Research Associate, University of Freiburg/Brsg. Hartmuth Arenhövel, Ulrich Mosel, Berndt Müller, Michael Soffel, Horst Stöcker, Johann Rafelski, Gerhard Soff, Joachim Maruhn, E. D. Mshelia, Andreas Schäfer, Burkhard Fricke, Paul-Gerhard Reinhard, and Joachim Reinhardt. The nuclear structure "Rotation-Vibration Model"
Extension of the periodic system into new directions of strangeness and antimatter. Prof. Abhas Mitra (born on June 03, 1955 at Belur, West Bengal), is Head, Theoretical Astrophysics Section, Astrophysical Sciences Division (APSD), Bhabha Atomic Research Centre (BARC), Mumbai -400094, since 2005; Technically, Scientific Officer (H+). 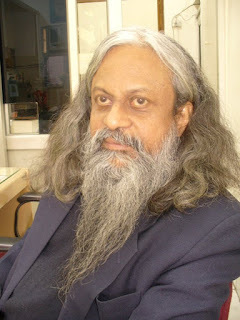 Ph.D. guide (Physics) for Mumbai University & Homi Bhabha National Institute (HBNI) where he is an Adjunct Professor. he has completed their basic Educational Qualifications: (i) M.Sc. (Physics), 1st Class, University of Kolkata (1977). But results came in 1979 because of ultra-left political turmoil. (ii) BARC Training School, 23rd Batch (3rd in Physics stream): Aug 1979 – July 1980. This was more than a M. Phil degree. (iii) Ph.D. Thesis entitled ``A New Theory of Ultra High Energy Gamma Ray Production In Cygnus X-3’’ was ready for submission to Kashmir University in 1990. But because of militant uprising, this could not be done. Later an updated thesis was submitted in Mumbai University, & degree obtained in 1994. This thesis contained all single authored papers in leading international journals and hence equivalent to a D.Sc. degree (guide was only an official formality). 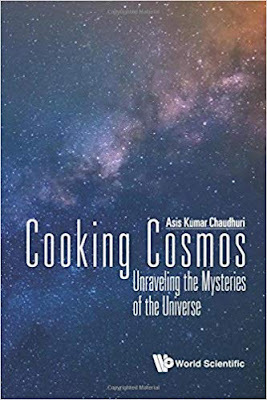 Gamma Ray Astronomy, X-ray Binaries & Millisecond pulsars, Cosmic Gamma Ray Bursts, Diffusive Shock Acceleration, General Relativity, Gravitational Collapse, Various aspects of Cosmology, Classical Mechanics. He happens to be only Relativistic Astrophysicist & Cosmologist in the 67 year history of BARC. Initiated serious research in Theoretical Astrophysics singlehandedly not only in APSD/BARC but also in the state of J&K of India by braving immense difficulties. One of the very few BARC scientists who has delivered prestigious ``Wednesday Colloquium’’ in Tata Institute of Fundamental Research, Mumbai (On Gamma Ray Burst research). Prof. Abhas Mitra selected for European Commission – DST (India) Post Doc position to work with Prof. (Sir) Martin Rees (later Astronomer Royale), Cambridge University, in 1992. But this did not materialize in the absence of a formal Ph.D. degree. His career in BARC did not offer any scope for formal teaching. 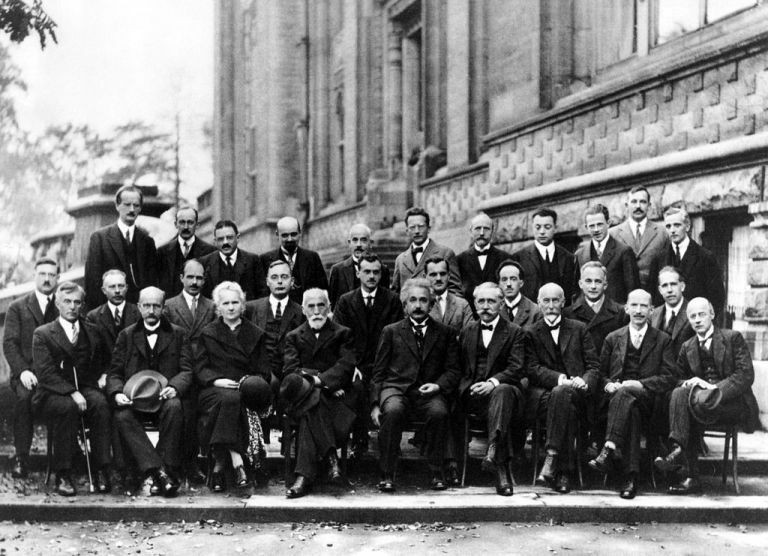 However, he is competent to teach all areas of physics (except biological physics) at any level. In addition, he regularly participates in various astrophysics/cosmology debates in Facebook groups like ``Astronomy’’, ``Cosmology’’, ``Astrophysics & Physics’’. As a Section Head, he gave full academic freedom to younger colleagues to pursue their independent research problems, and did away with the frequent practice of having the name of the ``boss’’ as one of the coauthors (otherwise his list of publication could have been much longer)! He has visited labs/universities/conferences in USA, UK, Russia, China, Hong Kong, France, Germany: where he gave lectures, plenary/invited talks on own research. 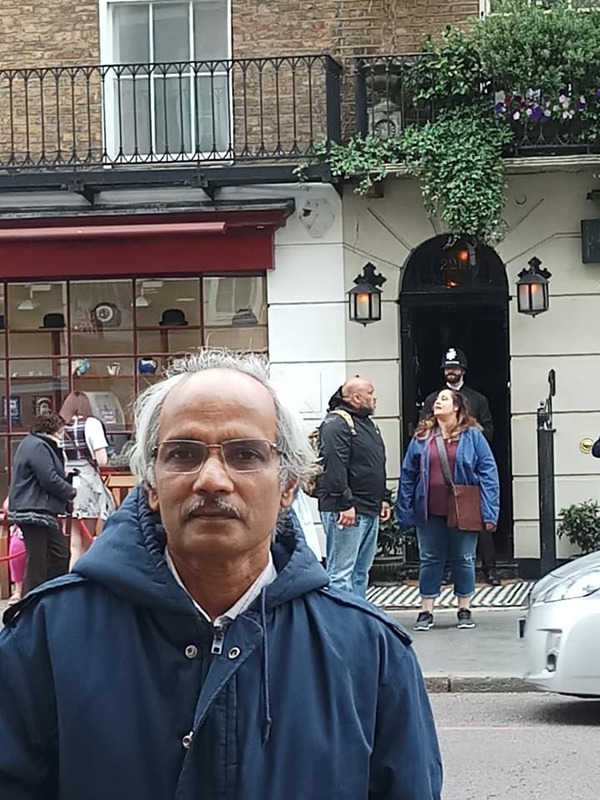 He is involved in the simulation & development of new data analysis program (Random Forest Method) for the MACE project (one of the largest Gamma Ray Telescope of the world) at Hanle, Ladakh (in collaboration with TIFR & Indian Institute Astronomy). He is the first physicist to not only show/claim that the so-called ``Black Holes’’ (a crucial concept in Astrophysics & Physics for 100 years) cannot be true black holes, but also suggested the most likely nature of such objects. This research is based on series of peer reviewed and uncontested publications in journals such as Found. Phys. Lett., Pramana, Advan. Sp. Sc., Astrophys. Sp. Sc., New Astronomy, Int. J. Mod. Phys. D., J. Math. Phys, IJAA, JMP, Phys. Rev. D., Mon. Not. Roy. Astron. Soc., Mon. Not. Roy. Astron. Soc. Lett. His research has shown that though the Black Hole solution is formally correct, the pertinent Integration Constant is zero implying true BHs (point particles) have gravitational mass M=0, and therefore the so-called BHs having M>0 cannot be true BHs. On the other hand, his research has shown that, as massive objects keep on contracting, at some stage, the outward pressure of trapped radiation must be able to counteract the inward pull of gravity to result in quasi-static ultra-compact hot objects which nonetheless keep on contracting indefinitely (Eternally Collapsing Objects: ECO). Astrophysical ECOs are likely to be ultra-magnetized too (MECOs) And now there are many evidences that many BH candidates possess strong magnetic field which cannot be due to effect of surrounding accretion disks. For instance see: Surprisingly Strong Magnetic Fields Challenge Black Holes’ Pull or ``Dynamically important magnetic fields near accreting supermassive black holes’’ (Nature, 510, 126, 2014). Accordingly, his BH research has been discussed widely both at national & international levels. Please see section 4 in details. Worked as a visiting professor in Max Planck Institute for Nuclear Physics, Heidelberg, Germany in 2006. Got qualified as an USA National Research Council SENIOR ASSOCIATE, High Energy Astrophysics Group, Goddard Space Flight Centre, NASA in 2004. But Indian scientists were informally banned in US Govt. Labs following Pokhran II nuclear explosion by India. · Most Searched Living ``Indian Physicist’’ on the Web (C.V. Raman, S.N. Bose, H.J. Bhabha, S. Chandrasekhar, M.N. Saha, Abhas Mitra, Ashoke Sen…) (Google with ``Indian Physicist’’). While this does not mean that his research is very well cited, it nonetheless shows that the same has evoked widespread popular interest. · Interviewed on BBC Radio in 2001 for research showing so-called ``Black Holes’’ cannot be true black holes. Interviewed on an Australian Radio Channel for the same reason in 2014. Also interviewed by several TV channels like NDTV, Headlines Today, Aaj Tak etc (2004). · In 2006, Harvard Smithsonian Center For Astrophysics Press Release ``NEW PICTURE OF QUASAR EMERGES’’ admitted that the concept that the so-called ``Black Holes’’ are actually ultra-compact, ultra-magnetized hot balls of plasma/fire, is originally due to ``Abhas Mitra’’ (a rare event in Indian science). 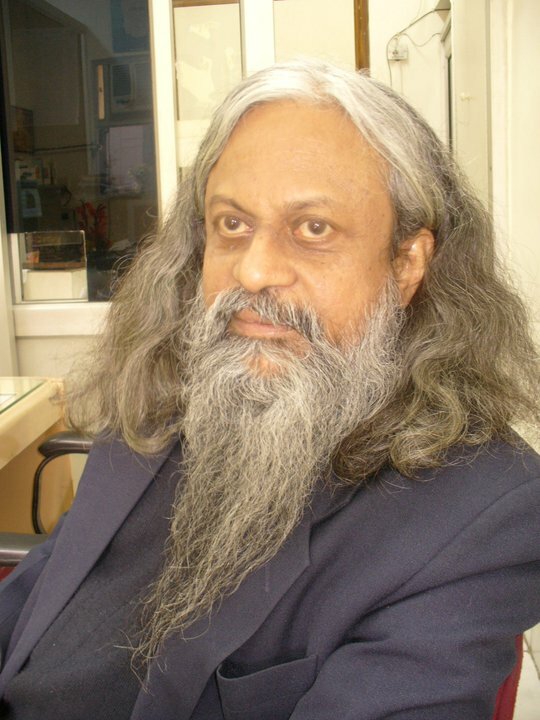 · His research in General Relativity and Cosmology featured as full page SCIENCE NEWS in Nature India five times (2001-13). · 1st prize in Young Physicist Colloquium organized by Indian Physical Society in 1989. In the 40 yr history of APSD, this happens to be the only award won by any scientist from outside BARC (as of 2015). Also shared BARC’s Group Achievement Award for up-gradation of TACTIC Gamma Ray Telescope in 2012. · Member of International Astronomical Union (IAU) since 2000; presently only IAU member from APSD & BARC. Also a life member of Astronomical Society of India, Indian Physics Association, Nuclear Society of India. Full Member of American Astronomical Society (1992-94). Full membership of AAS requires Ph.D.; but in view of superior research credentials, AAS waived formal Ph.D. requirement. · One paper ``Sources of Stellar Energy….’’ (New Astronomy, 2006) was selected as one of the Highlight Publications of Max Planck Society in 2007. · Has worked a reviewer for Astrophysical J., Astrophysical J. (Letter), General Relativity & Gravitation, Int. J. of Modern Phys. (D), Int. J. of Theoretical Physics, Int. J. of Astronomy & Astrophysics, J. Modern Physics, Astrophysics & Space Science, Indian J. of Physics, Current Science, Pramana, Turkish J. Phys, J. A&A, Physics Essays, and several other journals. Has worked as a reviewer for research projects for fund granting Govt agencies like BRNS (India) and similar agency of Chile. Editorial Board Member of some journals. · 67 Journal Papers out of which 61 are a single author or leading author publications. Most publications contain significant new/novel or outstanding results. · 18 Full fledge research papers published in Cornell University Electronic Preprint archive or elsewhere (again mostly single authored): many could not be published in journals because of lack of time. · 1 Invited Book Chapter comprising 94-page article. Impact Point (IP) of the journal papers is 210. Since most of them are a single author, the IP/Author is ~200, which is high by not only, BARC or Indian standards, but by international standard too. The average IP/Author of other APSD scientists is ~10, the same for BARC scientists/engineers is probably ~3. For the first time he obtained the ``Curvature Form’’ of the FRW metric used to describe an isotropic & homogeneous universe. Also, for the first time, he derived the FRW metric by actually solving all relevant Einstein equations rather than by relying on geometric arguments. The 2011 Nobel Prize in physics involved the concept of a mysterious cosmic repulsive force called ``Dark Energy’’. Any many leading cosmologists including (G F R Ellis) have argued that ``Dark Energy’’ might be an artifact of ``back reaction’’ of a real universe which is significantly inhomogeneous. Such an idea has been confirmed by 4 research papers by him which have shown that, the most likely candidate for Dark Energy, namely, the Cosmological Constant of Einstein, is exactly zero. His 2 papers in General Relativity & Gravitation and New Astronomy have shown that in order that energy density of the FRW universe (including matter & field) is unique, it can expand only in a unique linear fashion. This exact result rules out the hypothesis of ``Cosmic Inflation’’, and accordingly, he insisted that the 2014 BICEP2 claim of confirmation of ``Cosmic Inflation’’ must be incorrect. In 2015, his prediction has been re-confirmed: Cosmic inflation theory of Big Bang bites the space dust (Nature, Feb 02, 2015). In 2014, his paper in Mon. Not. Roy. Astron. Soc, showed that a linearly expanding Big Bang universe is actually vacuumed and the ``expansion’’ is a mathematical illusion, a coordinate effect. In effect, this means that only pure vacuum can be perfectly homogeneous & isotropic. In other words, the real universe containing galaxies must be inhomogeneous and complex. Indeed, the study of cosmic gamma ray bursts at largest scales (3 Gpc, z=2) indicates that the universe is inhomogeneous and lumpy. For instance, in this context, internationally famous science communicator and cosmologist Neil deGrasse Tyson (Ph.D. Columbia) wrote ``Steinhardt follows Mitra and points out that there are other twists produced within our own Galaxy’’. As per Big Bang model, 85% of the matter in the universe comprises unusual (non-baryonic) exotic ``Dark Matter’’. But protracted intense search by (i) Direct Laboratory methods, (ii) Particle Accelerators and (ii) Indirect searches by Gamma Ray Astronomy have failed to detect any WIMP/AXION, and this hypothesis is on the verge of abandonment. This development is in conformity with the idea of Mitra (and many others) that the Big Bang paradigm could be in error (Cosmologists in the Dark, Martinez & Trimble). In his view, galactic DM could just be baryonic matter like ultra-cold molecular hydrogen. A recent discovery (Science, 2015) that the speed of only strictly plane light waves is constant in a vacuum may have profound implications for Cosmology. Physics problems in the physical Universe involve various complexities like inhomogeneity, heat flow, radiation transfer, the ever-changing equation of state of matter etc. If such complexities would be incorporated, even Newtonian physics, let alone far more complicated General Relativity, would never yield any nice ``Exact Solution’’. This implies that the ``Exact solutions’ of GR, on which the ``Black Hole’’ and ``Big Bang’’ paradigms have been built over past 100 years cannot represent the real throbbing live universe. His research has proved this simple truth by showing that some crucial `exact solutions’/singularities’ are illusory for the real universe, which suggests that the so-called ``black holes’’ are much more lively & interesting objects; and the physical universe is much richer & complex, and of course unknown.